Hard to believe (but be grateful for it) but Tesco has brought back its amazing in-store deals for pre-ordering a video game. 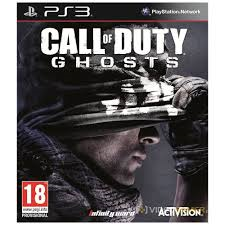 This time the title is the upcoming Call of Duty: Ghosts. These are the easiest Clubcard points you will ever earn. You need to visit your local Tesco store which sells video games and look on the video games rack. You should see some empty cases promoting Call of Duty: Ghosts. You take this to the counter and pay £5. In return, you are given a £5 coupon for the game and a guarantee that you will be able to buy a copy on the day of release. You also get 1,000 points. There are two versions of the game for Xbox 360 and Playstation. You are OK to buy one of each. Do NOT get carried away, however, as Tesco tends to remove points from bulk buyers. For clarity, there is NO obligation to actually return to Tesco and collect the game when it is released. Your 1,000 points will not be removed if you don’t.